After what has happened, make sure to check your TV guide to verify these dates and times. We also appreciate everyone who wrote the network to express their displeasure with not showing Mark’s episode. I’m sure it will air other dates as well, but these are the current published dates. Do not pay attention to dates on their web site–chances are it will never be correct. We are sorry that Mark’s episode did not air tonight, 8/19, as originally scheduled. The network, that is National Geographic Channel, lied to it’s viewers again regarding this series. Once we hear back from them, we’ll update you on the schedule. Mark’s episode is called “Fallen Hero” and will air Monday, Aug 19 at 9:30 pm central. 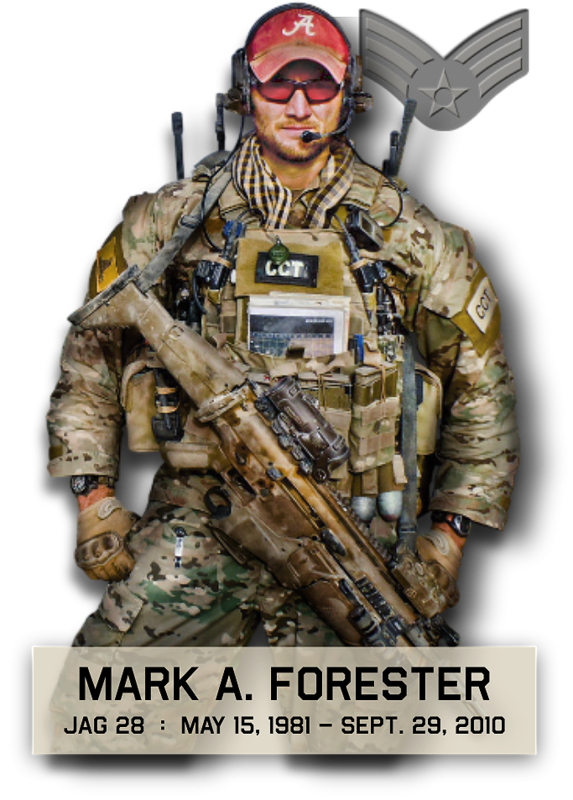 Some of his helmet cam footage will be used with a few of his teammates (Chad, Ben, and Jarrod) translating what is happening, and Mark’s role in that battle. To read about Mark’s episode, check the Eyewitness War web site. This should be a very powerful and enlightening series, helping American’s see what our military experience in battle–their words, their horrors, their footage. Here is an excellent article on Mark and this episode in The Tuscaloosa News. Keep checking the National Geographic web site for up-to-date information and previews. Below is a preview of Mark’s episode. I think you’ll be hooked after watching this. And Chad, Ben, and Jarrod did a great job.